Various automotive component manufacturers abound in the competitive Indian market. A car manufacturer doesn’t build most of the components required to build a car. Infact, they hardly build any components except for a few parts in the engine. All this is outsourced to the automotive component manufacturers who win the bid. It is actually the most cost effective way to build up an automobile. This ensures that manufacturers can price their car effectively and competitively. 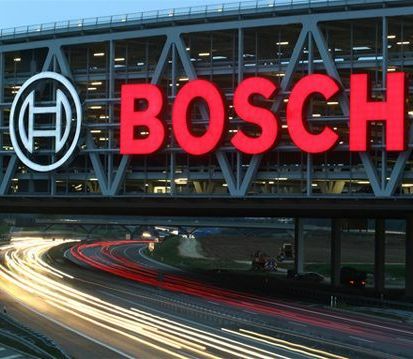 One such component manufacturer which has been doing business in India since 1922 is the German automotive component manufacturer Bosch. There are about 13 manufacturing plants which employ close to 20,000 people and cater to about 80% of the OEM market. The annual turnover for this company is Rs.6,800 crore. The company even exports 14-15% as exports. It is well known that Bosch in India started the trend of incorporating start/stop system on the Mahindra Scorpio MicroHybrid. Recently, the Tata Aria which was launched in India also had the latest of the ESP system made by Bosch in India. Since mention has been made of ESP, ABS is also another feature which was a first, introduced by Bosch in India. Continuous development work is been undertaken to make this system more effective. Moreover, these systems are also been made cost effective so that more and more of the cars can be fitted with this life saving equipments. Speaking of development work, Bosch applies for about 15 patents a day, worldwide. Most of the components which went into the making of the Tata Nano was supplied by Bosch and hence it was made cost effective. Moreover, the diesel Tata Nano which is in the offing has also been widely developed in conjunction with Bosch. A diesel engine in a car weighing just 625 kgs was always a challenge and Bosch was actively involved in the development of the diesel motor from the onset. And mind you, this is a common rail diesel fuel unit, the smallest one in the world. Given for the fact was that this motor was been developed for the world’s cheapest car. The Mahindra Maxximo uses a slightly more advanced version of the same motor and is already proving its worth on the Indian roads. Making it to fit a small car and at the same time prove to be cost effective to live upto the task of been in the world’s cheapest car was a big effort by Bosch. Fuel efficiency was of prime importance while designing this engine. Some of the advances to this effect are the fuel pumps been lubricated with oil which ensures minimal damage to the fuel pump even if fuel used is of a lesser variety than what the car has been tuned for. This system is named as Low Price Vehicle or LPV. Recent news percolated that Bosch in India are trying for a new stop/start mechanism for the Tata Nano and in short all the related small as well as large cars by the year 2013. They are even developing this for motor bikes. Seen testing not a long while ago was a Hero Honda Passion Pro bike fitted with this mechanism. Bosch claim to have achieved fuel savings to the tune of 18% on the motorbike whereas on small cars, SUVs it is 6 % and 11 % respectively. Bosch are also looking to diversify to the field of air bag manufacturing. They have already started development work towards this step. It is this small attempts as well as the larger ones by Bosch that we get value added products which are cheaper to buy, run and eventually use. Mico and Bosch always had a great future in India. As early or as late as 2004, I have been using their products in my bike. Very impressed with the quality. Bosch horns are a great liability and I think that nowadays every other bike or car manufacturer uses them as OEM. The knowledge that Bosch applies for about 15 patents per day has actually struck me with this fact that what a fast growing company it is. That they are changing the way we view automobiles is all the more endearing. I am grateful to indiandrives for bringing out this article about my favourite company. Hope to get a job in Bosch soon if any one from Bosch is reading this. ):. Looking forward to more of such articles from this website. I will keep visiting it again and again. Keep up the good work guys.